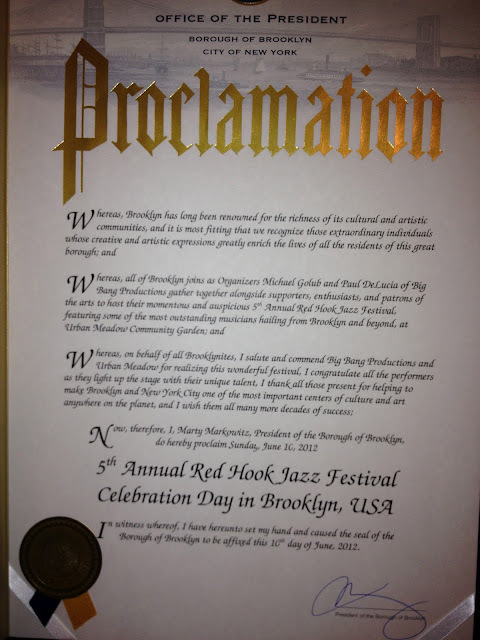 All About Jazz: Our Proclamation! In witness whereof, I have hereunto set my hand and caused the seal of the Borough of Brooklyn to be affixed this 10th day of June, 2012." Wee hoo - pretty cool huh?